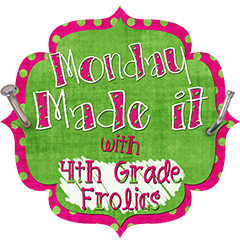 I have been so busy this summer and have barely had time to link up with the amazing Tara from 4th Grade Frolics for Monday Made it... What's up with that?! I know, I know.. 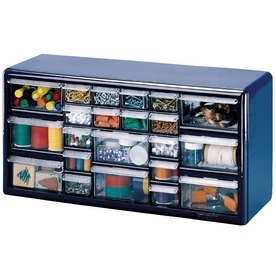 Teacher's Toolboxes have been all the craze forever, but I'm a little behind people. I have been enviously drooling over all of your crafty skills and toolboxes for a year now, and I am happy to say that I've picked my jaw up and put myself to work! So here it is and here's what I used! Some white plastic spray paint, and that is it! I will warn you, it took about 2 and a half cans of spray paint to coat both toolboxes. I am very picky about everything being covered evenly, so I may have gone a little bit overboard.. but you do need a lot! The paint took about a hour to dry for each coat, and I did 3 coats total. 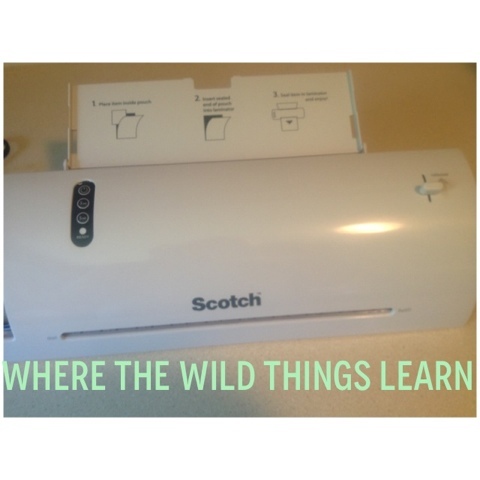 Next, I printed out my template, and put my favorite teaching supply to work... my personal laminator! 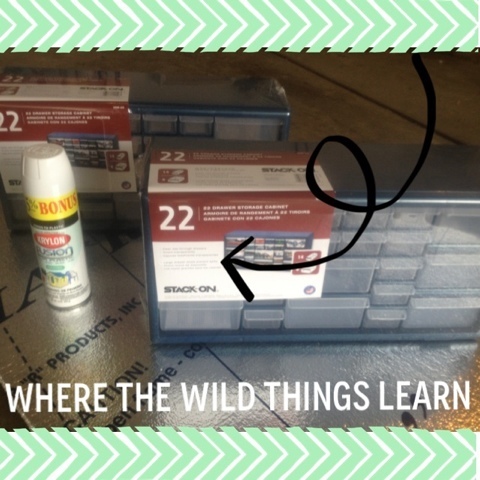 Once they were laminated, I cut them out and got the toolbox drawers ready to assemble! 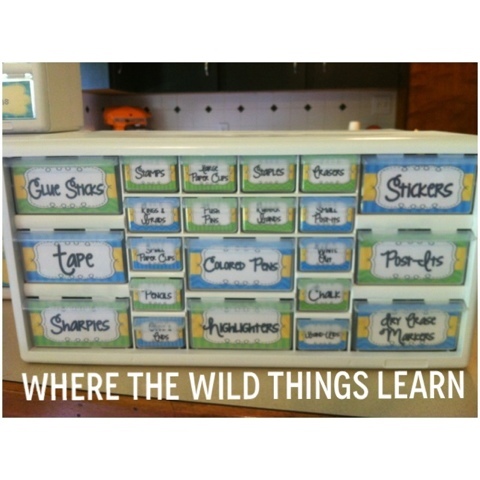 I used glue dots to attach the labels to the drawers. 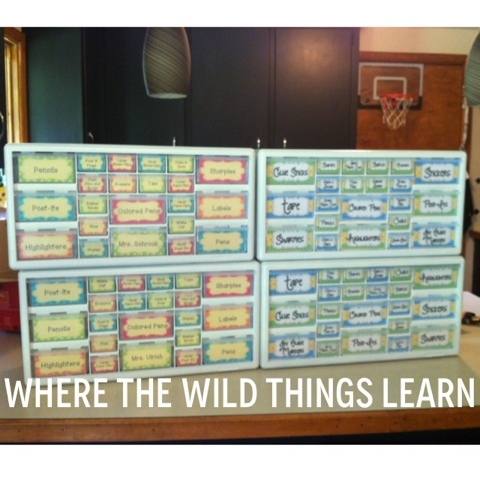 They hold up nicely, but not too stuck that I can't change out the labels if I ever change my classroom theme! I made two toolboxes, and so did my good friend! She made hers to match the Turquoise on Dots classroom theme. There you have it!! It really wasn't hard at all. I cannot wait to use it in my room! And guess what? You can have my template for FREE to download and print!! Just click here to get it! My last Made-It is my new favorite classroom decor pack: Neon Lights!! It is so much fun and will more than likely be my next classroom theme! 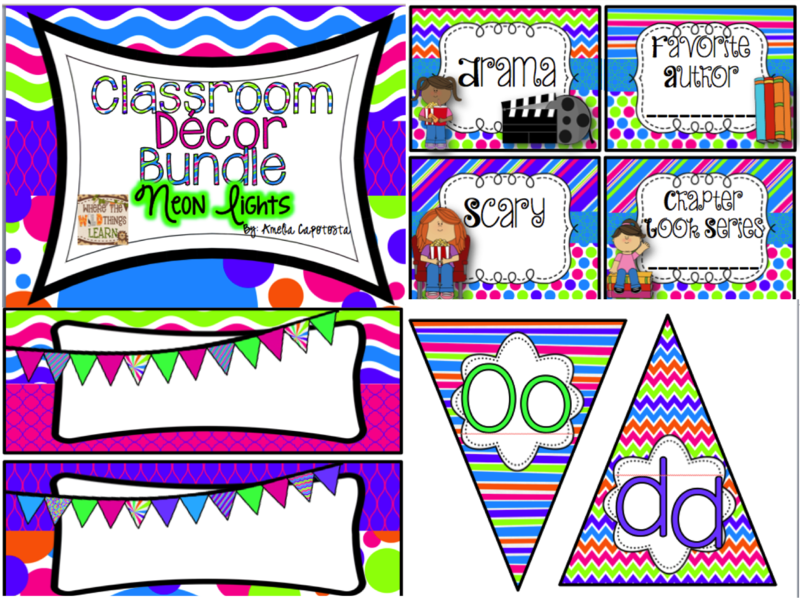 There are 195 pages of classroom decor goodies in this pack! I am giving it away for FREE until I get back from the pool today. That's 3 whole hours of freebie goodness!! WOW! Enjoy :) I hope you love it as much as I do! Click here to download! Wow! Your toolkit labels are sooo very awesome! I love your neon lights classroom decor. Thanks for the AWESOME freebie! I am your newest follower. I am so glad you love the decor! I hope you get to use it :) I'm so happy to have you following! I made another toolbox yesterday, they look great. I downloaded your neon lights pack and left you some sweet feedback. It looks awesome, can't wait to put some of it up in my room!!! Thank you for both freebies! 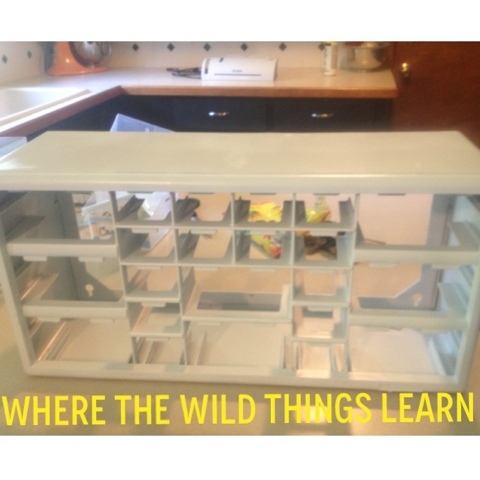 I'm still on the fence about a toolbox. I keep thinking I NEED one because everyone else has one. Of course, Alison! I am glad you were able to pick them up :) You totally should do it. I am in heaven over how organized my desk is now! Both sets of toolboxes turned out sooo cute! 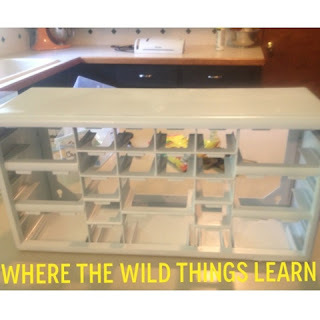 I love your teacher toolbox! Thanks for the tip about the paint. I need to make one before school starts so that is good to know!